When the weather turns brisk, we get comfy. 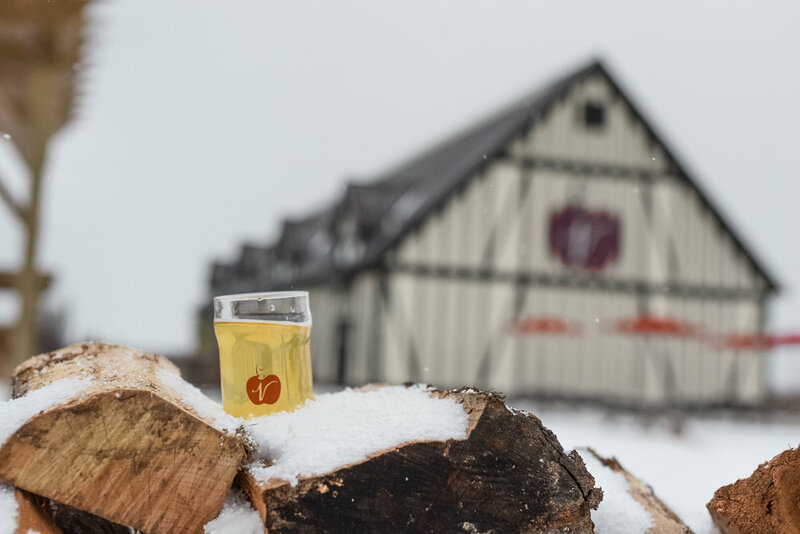 This year we've added a lot of ways to keep you cozy while sipping cider on our farm. We have 48 acres on our property, so we wanted to make it enjoyable for all our guests. Plus, we want to visitors to be able to discover our grounds in a new way. 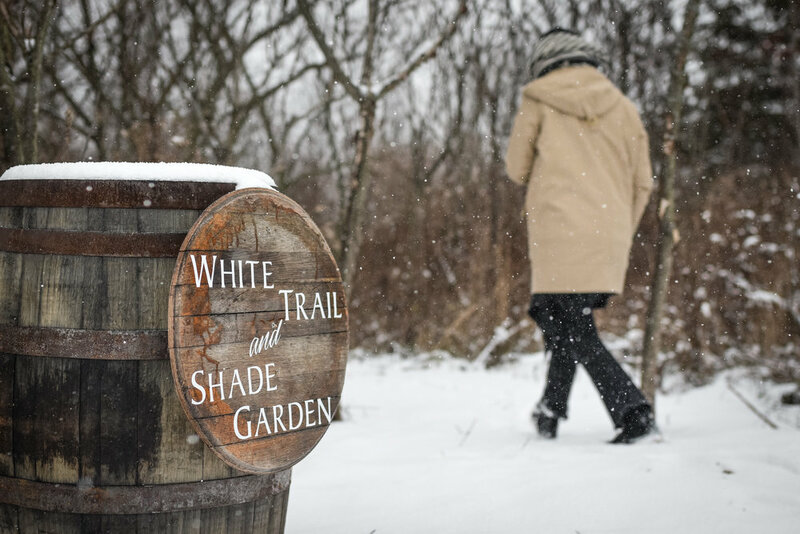 The White Trail, which is accessed just on the other side of our cider house lawn, is now open. 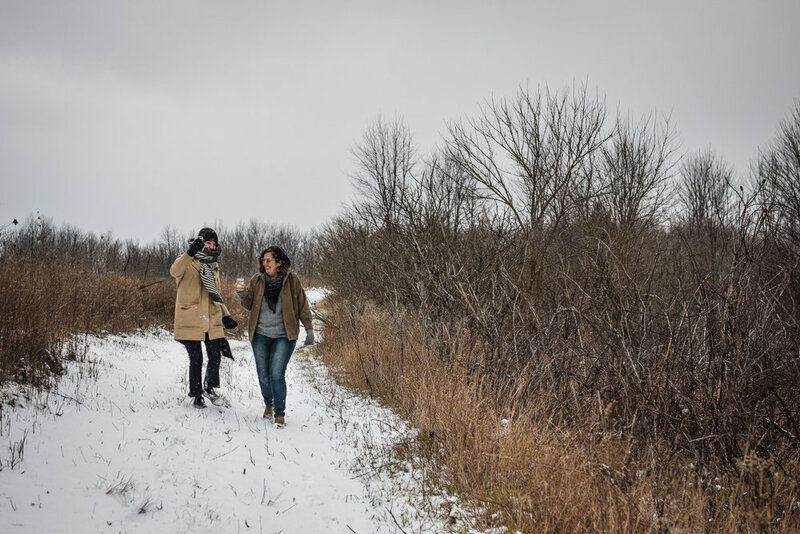 Take a walk, snowshoe, or cross country-ski through the winding trails. 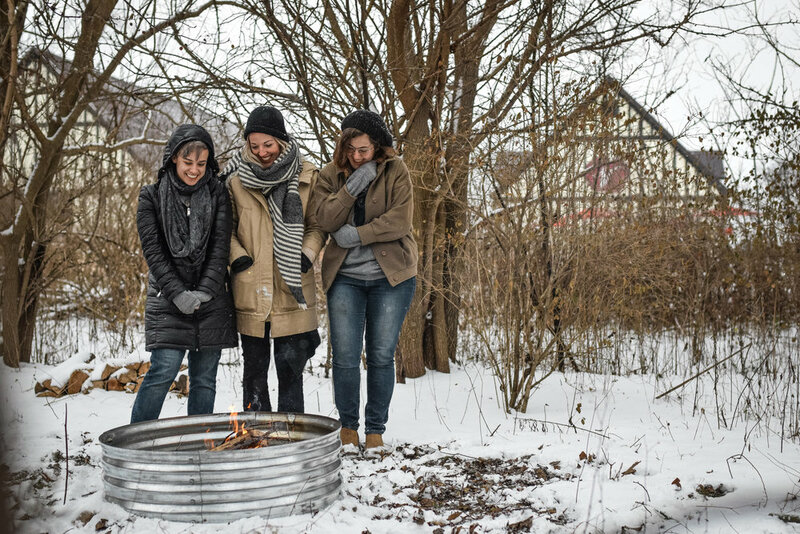 We can start a fire for you in one of the few hidden fire pits in some clearings along the way. Our winter hours (starting Dec. 11) are Wednesday-Sunday, noon to 7pm. 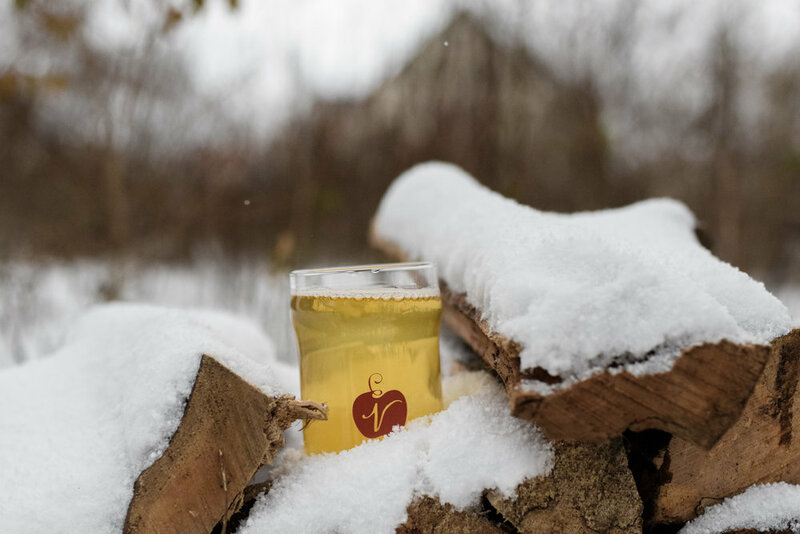 Come join us for wintertime warmth and cider.